Hunza Peak lies in the westernmost subrange of the Karakoram range along with the Ladyfinger Peak (Bublimating). It lies on the southwest ridge of the Ultar Sar massif, the most southeasterly of the major groups of the Batura Muztagh. The whole massif rises precipitously above the Hunza Valley to the southeast. 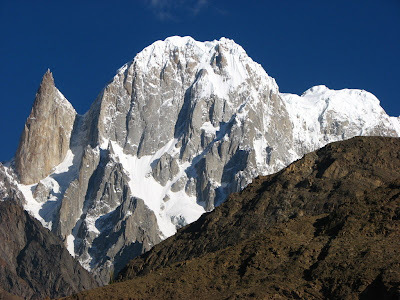 Bublimating, while having little prominence above the saddle with nearby Hunza Peak, is particularly notable for being a sharp, relatively snowless rock spire among snow peaks.